As lawyers frantically tried to file the last-minute appeal that could have halted the execution of a death row inmate, the Texas judge who oversaw the only court who could hear it was preparing to shut the doors for the day. "We close at 5," Judge Sharon Keller told a court staffer Sept. 25, 2007. The appeal was never heard, and four hours later, convicted killer Michael Wayne Richard was executed. Now it's Keller who will be before a judge, facing charges that could end her career in a special trial that begins Monday in San Antonio. 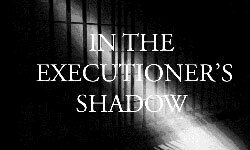 Are you concerned about the Death Penalty in Oregon? April 19: Oregonian Report: Can Oregon afford the death penalty? In 1988, 18-year-old Randy Lee Guzek became the youngest person in Oregon history on death row. Today, Guzek has another distinction: Oregon's most expensive death row inmate. The taxpayers' tab for Guzek's legal bills stands at $2.2 million -- and it's still growing. Read more about April 19: Oregonian Report: Can Oregon afford the death penalty?